Or, as my youngest would call it: STEAMED UP BROCCOLI!!!! Yes, she yells it as loud as she can with a big grin on her face, because it is by far her favorite veggie side dish. From here, you have a few options. 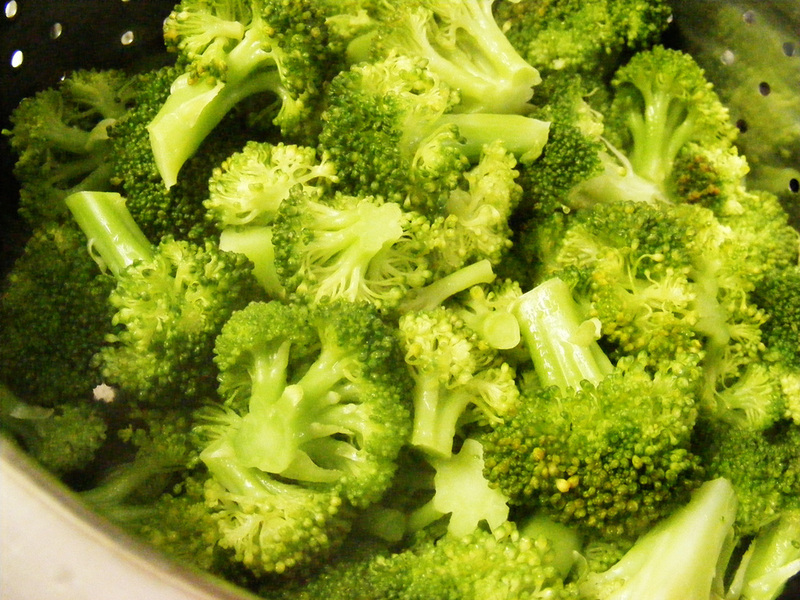 My family enjoys the broccoli lightly salted….simple and easy. I like a squeeze of lemon juice over mine. A bit of butter melted over the florets is yummy, as is a splash of balsamic vinegar. If you are trying to sell your kids (or significant other) on broccoli, you might sprinkle some grated cheese over top (parmesan works well), but don’t over-do it. The goal is for your kids to learn to like the broccoli, not for them to like a lot of cheese with a tiny taste of broccoli along with it. SO what I need to keep me on track! And SO, so glad to be participating in The Nester’s 31-Days with you and so many other wonderfully creative women! Glad to have you following! Hope you find some new recipes to add to your dinner rotation!